I am partial to anything that has the word "Breton" in it and am a sucker for stripes. 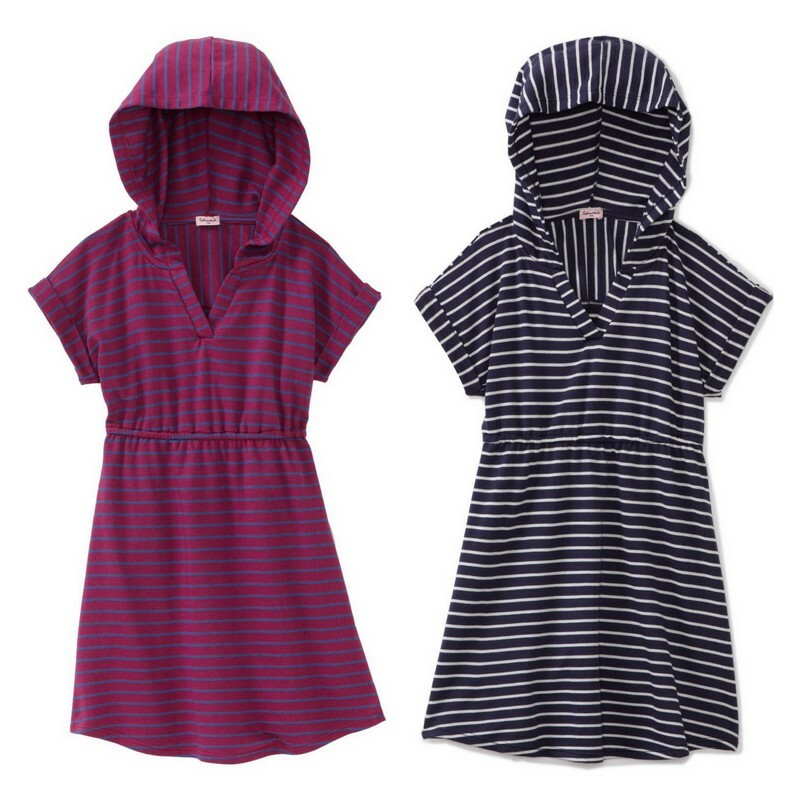 This mini Breton stripe dress from Splendid Littles for big girls does not disappoint; I love the simple styling and the laid-back vibe it puts off. Perfect with leggings (it risks being a little on the short side), this is a versatile, multi-season tunic dress. It is available in sizes 10-14 for just $22.84 (70% off the full price of $78 dollars) and it qualifies for free shipping. This seems like a brilliant solution to the perpetual tween-parent fight over clothing. Amazon has a whole lot of Splendid girls' deals right now. Find everything that is 50% off or more here. Plus, if you have not yet signed up to receive Amazon clothing emails, you can do so here and immediately receive a coupon code for 20% off your first purchase (thanks for reminding me, Nicole!). Even a better deal. NOTE: The feedback on this dress is that it is pretty short (mid-thigh). It would be really great with leggings as a tunic, but it's a really short dress. Thanks, Robyn. I'll buy just about anything that's called Breton...oh to ride my bike again through that countryside! I knew you'd understand, Holly! I ordered this and it is definitely a long tunic and not a dress - unless you're okay with an 11 year old wearing a dress that ends mid-thigh. That said, it's a FANTASTIC tunic. But the never ending search for a tween dress that hangs knee lenth or below and has sleeves continues . . . . Thanks for the feedback, Robyn. I had hoped that it would be a little longer than mid-thigh!! I am changing the title of the post so that it is not misleading. I will keep an eye out for longer options... but glad that it works as a tunic. If not, Amazon does offer free returns. I really appreciate the note! I really appreciate all the 'digging for bargins' that you do. If you do run across something that is appropriate for an 11 year old that's longer and has sleeves. . . I'd love ya for- evah!